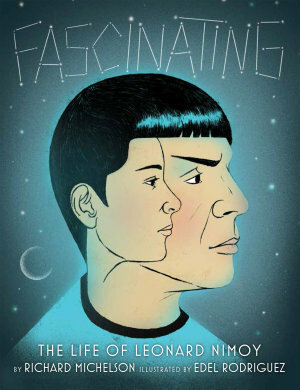 This truly fascinating picture book showcases the life and achievements of Leonard Nimoy, from the boy who loved to sing and act, to the man who became one of the world’s most iconic and beloved figures. Leonard constantly reached for the stars and was determined to catch them. He pedaled vacuum cleaners door-to-door, drove a taxi, and worked as a movie theater usher – all so that he could study acting and go to auditions. But Leonard Nimoy was not just Mr. Spock. He developed a fascination for photography as a kid, using the family bathroom as his darkroom. It was like magic – each emerging image revealed its subject’s soul. In 1971, he enrolled at UCLA to study photography and his photographs have been exhibited in major museums. He also recorded music, wrote poetry, plays and autobiographies. Throughout his lifetime, he spoke for political causes and social justice. This week I had a hard time choosing an absolute favorite, so I’m sharing my three top picks with you. Whoosh is right! And what a happy accident. 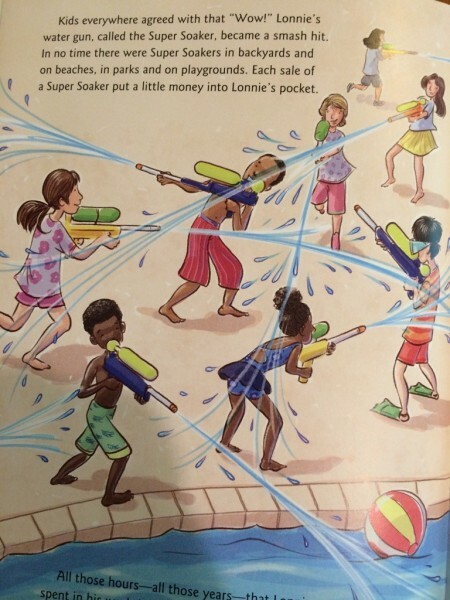 While testing an idea for using water and air pressure in a new cooling system, Lonnie Johnson realized that the pump and nozzle gadget he’d invented “would make a great water gun.” After designing and constructing a prototype (which he tested at a picnic), Lonnie approached multiple toy companies but they kept saying no. “But Lonnie had dealt with challenges all his life. He knew a lot about solving problems. 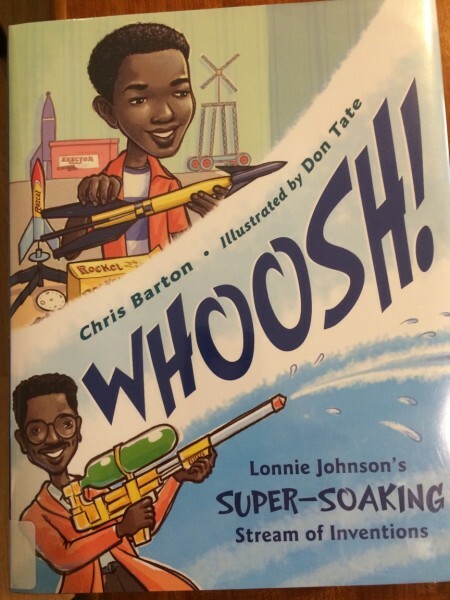 And he still believed in his inventions.” He kept looking for a company to manufacture his water gun until “Whoosh!” a company in Philadelphia did just that. Fall may be right around the corner, but there’s still plenty of time for super-soaking fun. 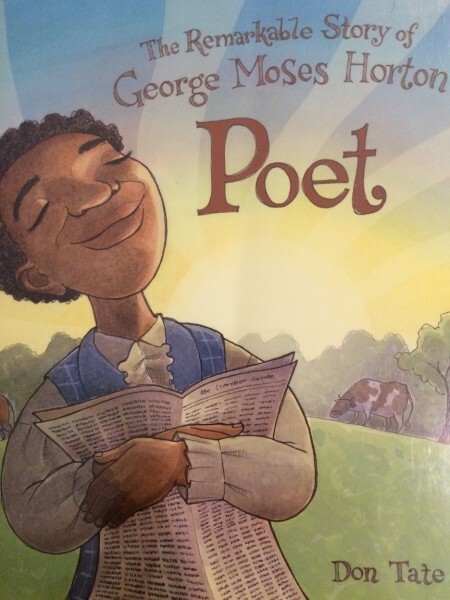 I love Don Tate's art work, and if you do too, check out his picture book Poet -The Remarkable Story of George Moses Horton. Lots of kids have nicknames. This is the story of how Troy Andrews got his. 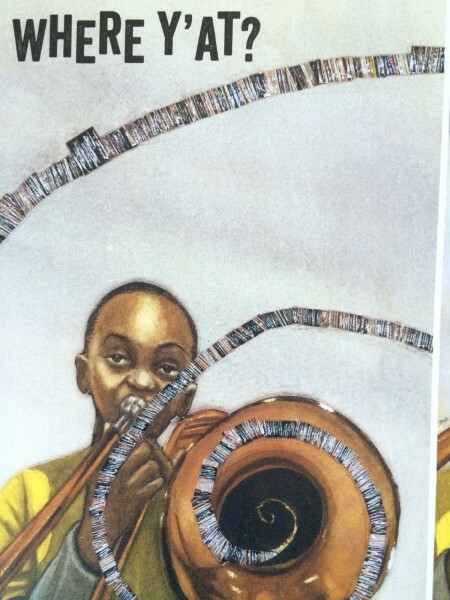 He grew up in Tremé, a neighborhood of New Orleans, where “any time of day or night, you could hear music floating in the air.” Troy and his friends didn’t have the money to buy musical instruments so they fashioned them out of boxes, empty bottles, pencils, and Mardi Gras beads. At the age of four, he found a broken trombone and although it didn’t sound perfect and was twice his size, he took it everywhere he went and never stopped playing. 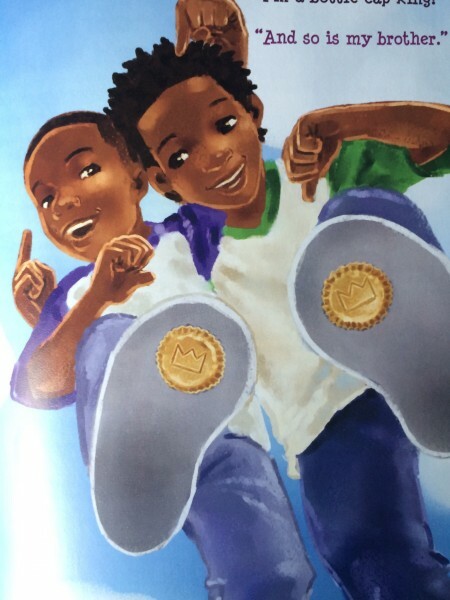 2016 Caldecott Honor Book and Coretta Scott King Award Winner. 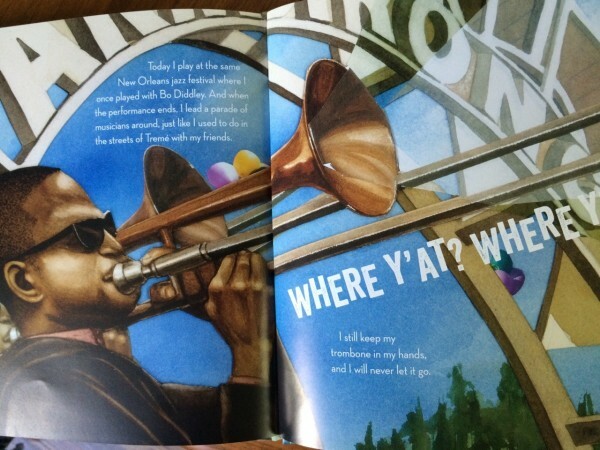 A portion of the proceeds from this book will be donated to the Trombone Shorty Foundation. Girls CANNOT be drummers! This was the rule. had to dream and practice in secret. 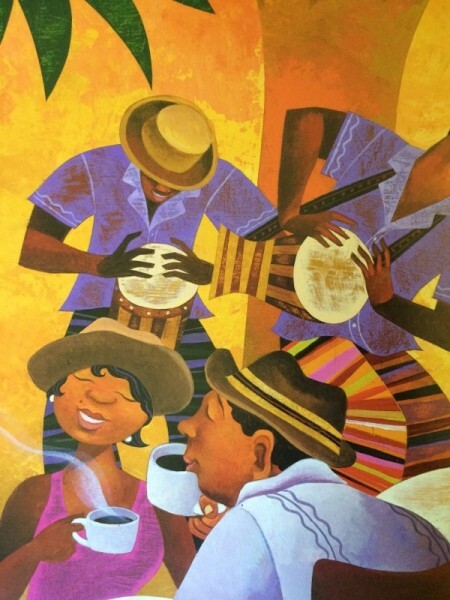 The rhythm of the island music - outdoor cafes, at carnivals, in parks and at home - constantly pulled at her, and she imagined she could hear her own music in the drumming of her feet, in the beat of her heart, in the tapping of her fingers and hands on tables and chairs. 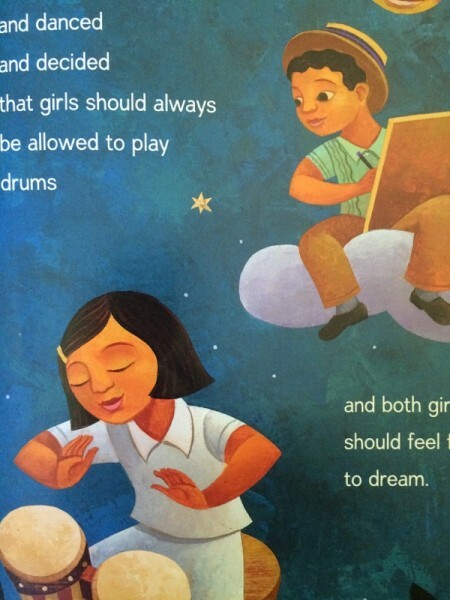 Constantly reminded by everyone that girls did not play drums, the drum dream girl played in secret and only for herself, until one day she dared to break the rules. 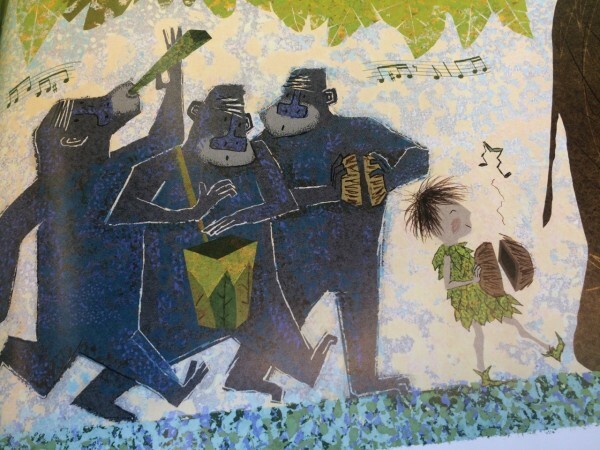 The power and pull of the drum girl’s imagination and dreams, and the rhythm and vibrancy of the island can be felt in both the lyrical text and the gorgeous illustrations. 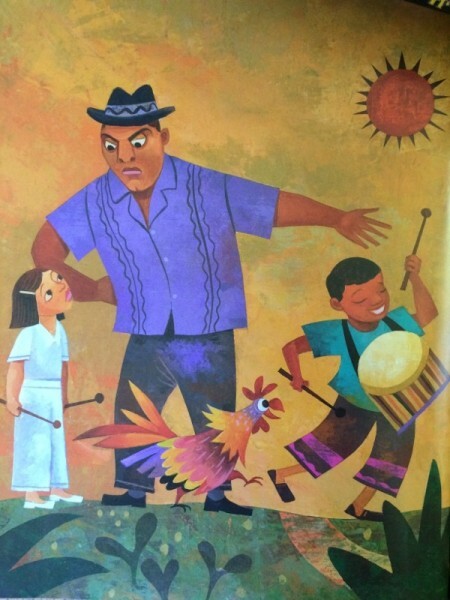 The story of the drum dream girl was inspired by Chinese-African-Cuban girl, Millo Castro Zaldarriaga, who broke Cuba’s taboo against female drummers and in 1932 at the age of ten, performed with her older sisters in Cuba’s first all-girl dance band. 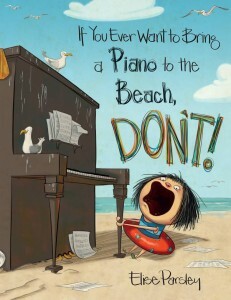 This picture book “tribute to the city and its youngest artists” has great rhythm and cadence, making it fun to read aloud. Did you know that the Mardi Gras colors of gold, green and purple represent power, justice and faith? This and other interesting facts about New Orleans shared in the Author’s Note and Reader Tip Box at the end of the book. 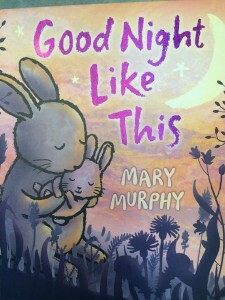 This is the perfect snuggle down for bedtime book. Adorable illustrations show parent animals and their little ones settling down for a good night’s sleep. 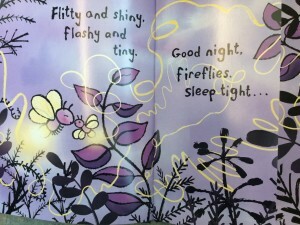 The soothing refrain of “Good Night. 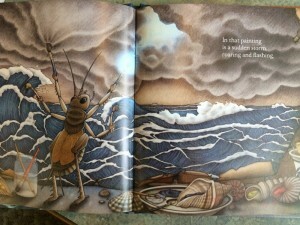 Like this,” along with the rhythmic, rhyming text lulls and comforts. 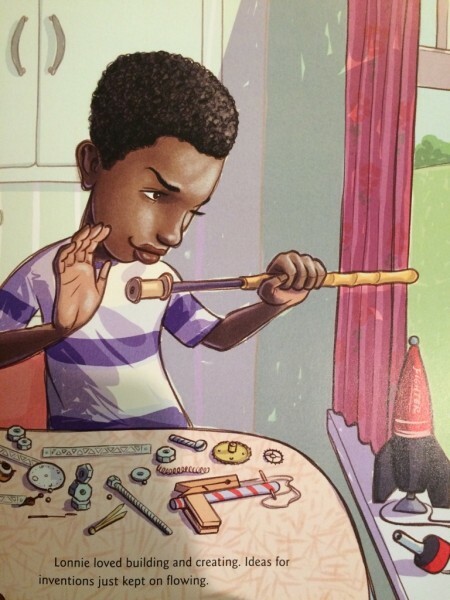 The charming artwork illustrates how each child is cherished – just like yours is. 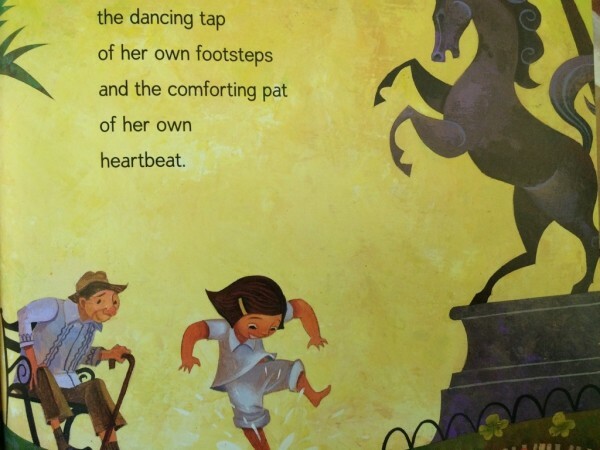 Lyrical text complemented by colorful, evocative imagery. 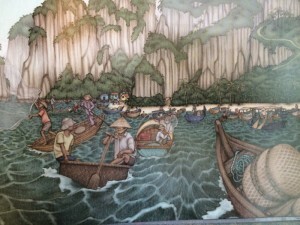 A circular tale of a family in a Vietnamese fishing village awaiting the safe return of the husband and father. 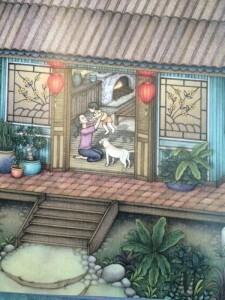 We are moved through the story by the family dog and the magical painting cricket beneath the floorboards. 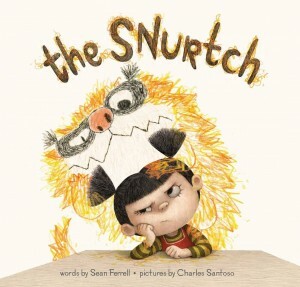 I found this book delightful, clever, humorous and touching. 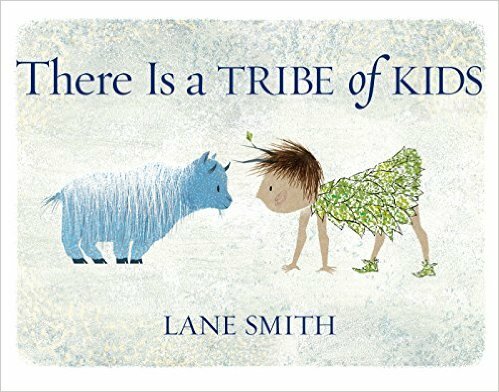 I’ve always had a thing for collective nouns, but this book is more than an assortment of beautifully illustrated groupings. Here we have a young explorer on his journey to find a community he can feel at home with. 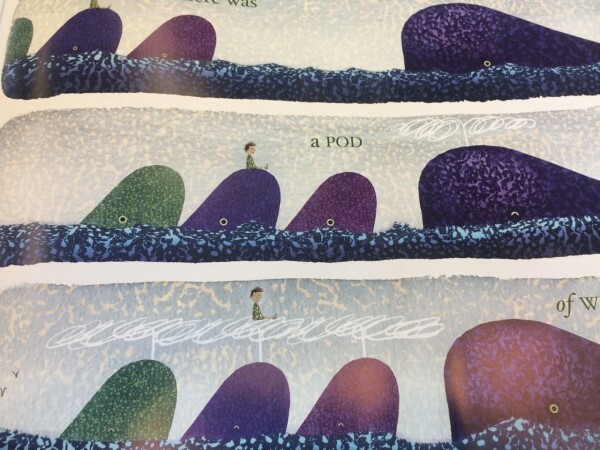 On his travels, he encounters many different creatures, from an army of caterpillars to a smack of jellyfish. While he finds fun, companionship and new experiences, he feels compelled to move on, until one day he finds a trail of shells to follow. 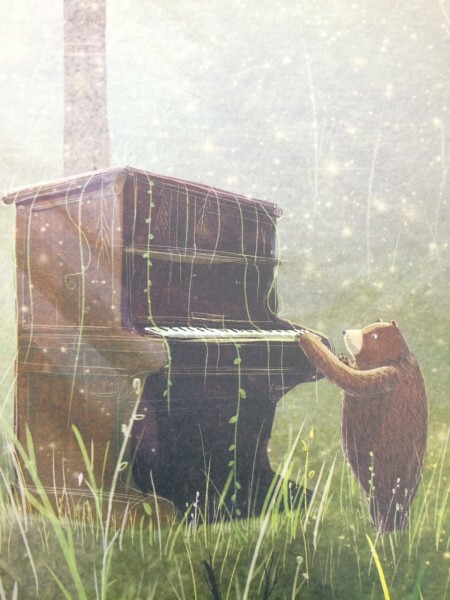 A bear finds a piano in the forest. Curious about this strange object, he touches the keys, but they make an awful sound so he goes away. But he can’t stay away – day after day, week after week he returns until eventually the sounds he creates become beautiful music. 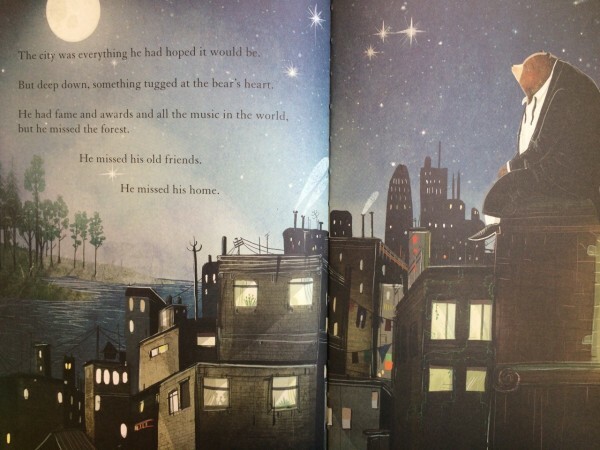 Soon other bears are drawn to his magical melodies and he performs for them night after night, until one night a girl and her father discover them. They invite the amazing piano-playing bear to the city to perform in front of hundreds of people. 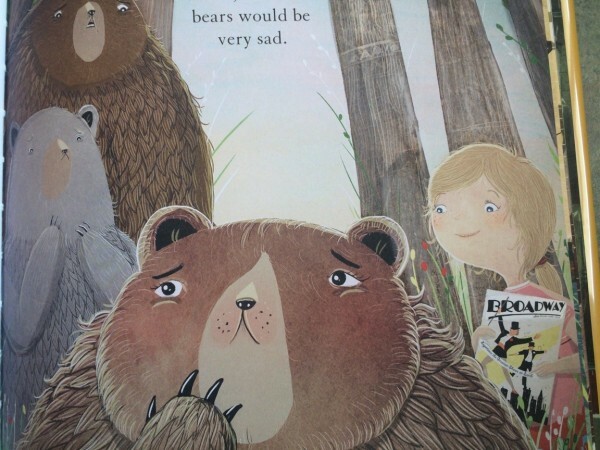 The bear is torn – if he leaves the forest, the other bears will be sad, but he longs to explore the world beyond the woods and it his fondest desire to play bigger and better than ever before. 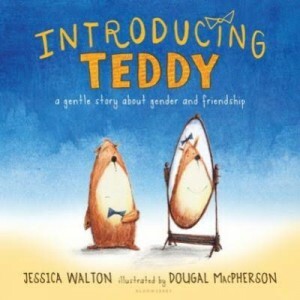 Bear has followed his heart, and his dreams have come true, but what will he find when he listens to his heart now and returns home?